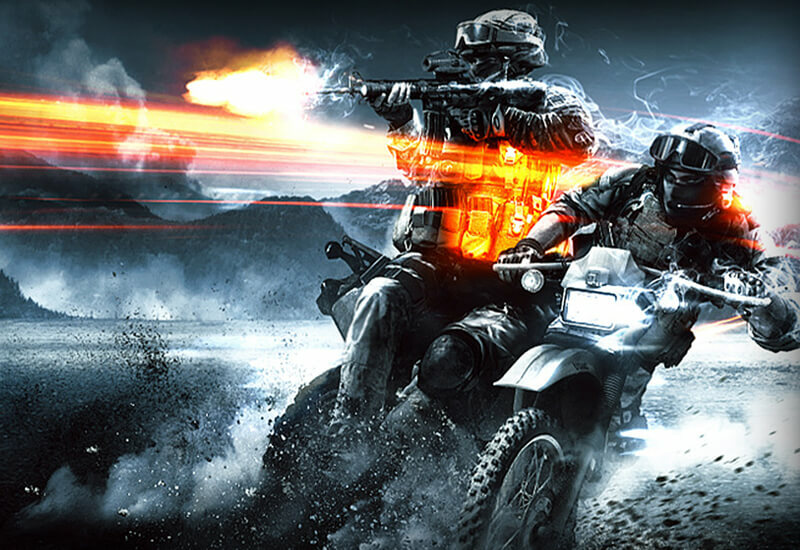 Take your Battlefield 3 multiplayer experience to the next level with Battlefield 3 Premium! 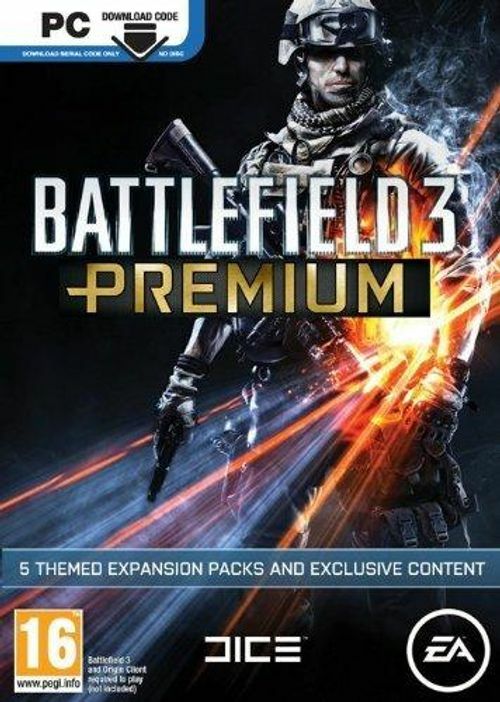 Containing a truly staggering amount of content, Battlefield 3 Premium offers a unique opportunity to play all upcoming expansion packs early, increase your soldier customization options, and receive a number of exclusive in-game items all for a one-time fee. This membership will give you all five themed expansion packs for Battlefield 3 – including two weeks' early access. You will also receive a host of unique in-game items not available anywhere else, including the ACB-90 knife, a set of dog tags, and exclusive soldier and weapon camos. Whether you want to get early access, stand out with unique in-game items, or use the powerful new features on offer, Battlefield 3 Premium gives you an unprecedented multiplayer experience. PLAY ALL EXPANSION PACKS EARLY: Get all five massive themed expansion packs for Battlefield 3 and play them two weeks early. STAND OUT WITH EXCLUSIVE IN-GAME ITEMS: Get recognition and stand out with unique in-game items including the one-of-a-kind ACB-90 knife and a set of Battlefield 3 Premium dog tags. Further customize your experience with new exclusive soldier camos and weapon camos and unique Assignments. ACCESS POWERFUL FEATURES: With Battlefield 3 Premium comes the unique chance to reset your Score/Minute, Kills/Deaths, and Wins/Losses stats if you want a fresh start with your multiplayer soldier. To further recognize your status, we give you queue priority into servers, more decals for your Platoon emblems, and the ability to favorite five of your Battle Reports to store them permanently. JOIN UNIQUE EVENTS: Rank up faster with exclusive Double XP weekends and take part in unique events. 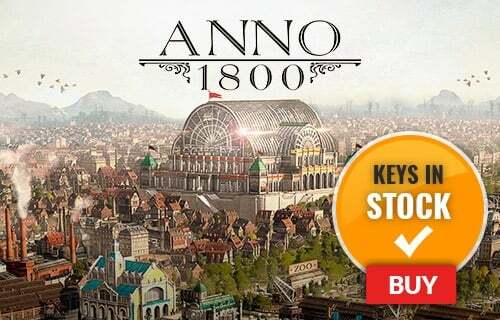 GET STRATEGY GUIDES & VIDEOS: Watch videos with playing tips straight from the developers at DICE, access a set of deep strategy guides, and get exclusive sneak peeks from upcoming expansion packs.